Wedding in the Indian culture is an extraordinary affair. The concerned parties have a lot to do and that too in a perfect manner. They have to take care of the venues, the never-ending gatherings, get-togethers, rasms, dholkis and dinners, the on-point dance practices, the intricate and colorful attire, the exquisite meal and food planning, loud wedding songs and lots of fun and laughter. The bride and groom and their families are the busiest during the wedding as they have to take care of the invites and the guests. In all the hustle bustle, you better not forget the wedding return gifts for the guests. These gifts are part of the Indian culture and an important tradition. 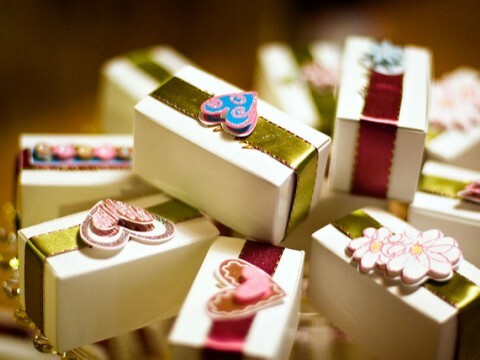 Why Are Wedding Return Gifts Important? All your guests come to your wedding to wish you a happy lie in the future and are happy for you and shower you with their thoughtful gifts and presence on this important and auspicious occasion of yours. 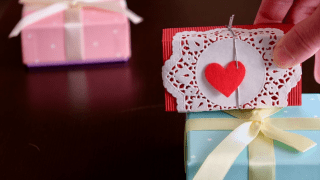 So, you should also give them a small token of appreciation and thanks in the form of wedding return gifts which will make them remember your wedding forever. What to Give as Wedding Return Gifts? 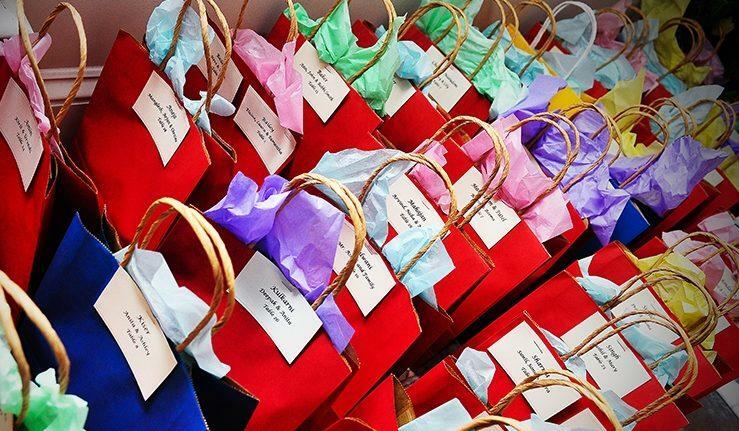 Wedding return gifts do not need to be very lavish and expensive as there will be hundreds of guests and that will put a huge strain on your budget. Your guest will be of all ages and men and women both. You also cannot give separate for men and women as that will also increase your budget. So, you will have to decide something that is unique, aesthetically appealing, useful and also affordable. 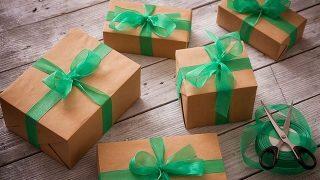 Before you panic and go searching for unique return gifts, read below to find the gift that suits you. The cute embroidered potli bags are the bests return gifts. You can fill them up with chocolate or sweets and also get a thank you printed on it. These are available in different bright colors and are one of the best Indian handicrafts. These are beautiful and ornately designed pieces which can also serve as a utility purpose. You can give small trays, bowl and spoon set, glass set, little boxes or dry fruit box of brass. These represent the true traditions of India and are also considered as collector’s items. You should go for these if you have guests coming from abroad they will love these return gifts. These are made by local Indian artisans with natural brass and are widely available as unique Indian handicrafts. Clocks are also a very unique idea for a wedding return gift. You can choose the traditionally made clocks which represent the culture of India. You can choose a small table clock of wood or marble or a beautifully crafted wall clock if your budget allows. The best thing for your guest will be statues. You can gift small silver statues and poses of Buddha or Ganesha. Your guests will treasure these and will always thank you for this type of return gift.